The black pearls that are produced in French Polynesia by the black lip oyster, the Pinctada margaritifera, are traditionally called "black pearls of Tahiti". 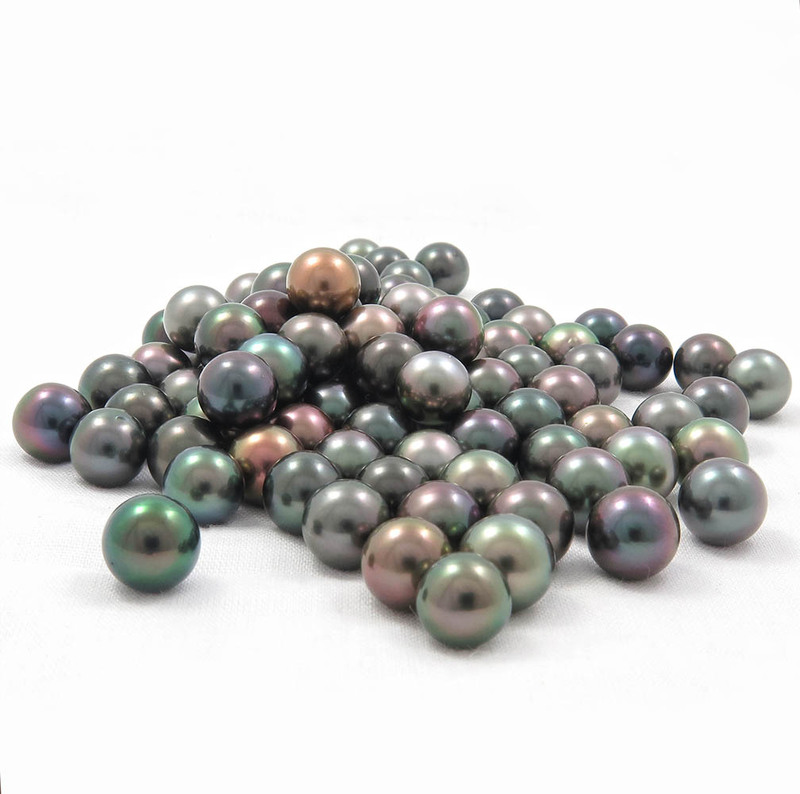 In fact, they are not really produced on the island of Tahiti and actual black colored pearls are extremely rare. Historically Tahiti was the trading center of this pearl in the Pacific, but there are no pearl farms on the island. In fact, most pearl farms are located in the other archipelagos of French Polynesia. The atolls of French Polynesia, especially in the Gambier or Tuamotu archipelagos, have closed lagoons that are particularly suitable for collecting oysters. The Leeward Islands, like Tahaa, where our pearl farm is located, the lagoons are more open, brewed and renewed which is excellent for the culture of "pearls of Tahiti". Why are they called "black pearls"? 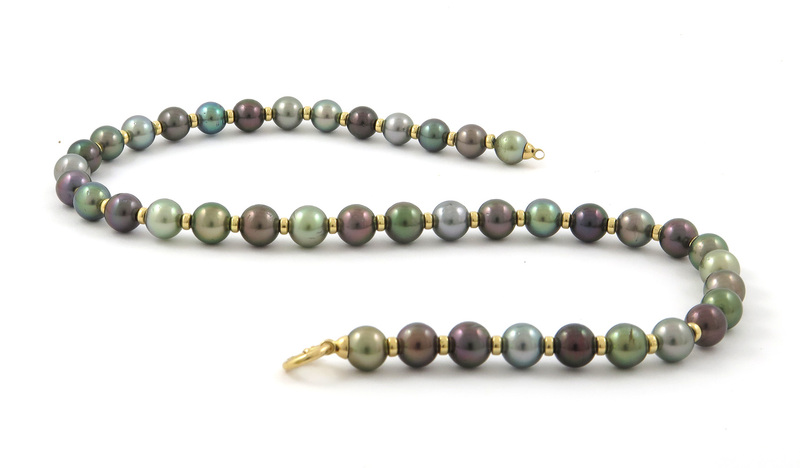 Tahitian pearls are unique because of their naturally dark colors, which are sharply different from pearls produced in Japan and China. Indeed, in the seas of Asia, it isn’t the same variety of oysters that is raised, it’s the Pinctada fucata, an entirely white distant cousin of our Pinctada margaritifera. Akoya pearls from China and Japan are white, cream or yellow pearls and are often processed to make the color uniform. That's why to better distinguish the pearls produced in Polynesia by the Pinctada margaritifera, our pearls are commonly called "black pearls". 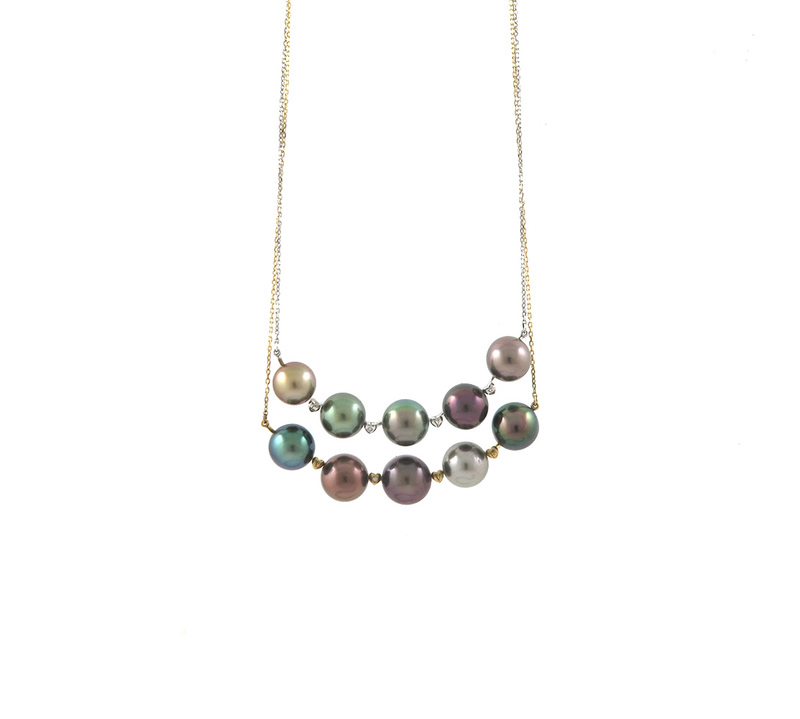 In fact, Tahitian pearls have a very wide spectrum of color, ranging from red to gray, including aubergine, pink, green, blue, peacock, golden, champagne ... 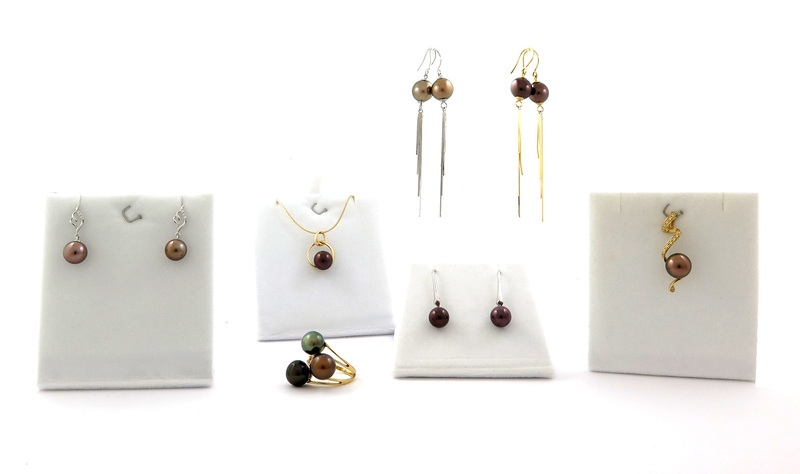 In addition, pearls generally have several color combinations and in different shades. There are so many different shades of colors that it would be impossible to name them all. Some colors are so exceptional that they are only found in few specific places. Here in Taha'a, we have a typical color due to particularities of our lagoon and our island. Indeed, Taha'a is what is called a "high island", that is to say a mountainous island. While it's generally in the atolls (without mountains) that pearl farming is the most developed, because closed lagoons allow a better oyster larvae collection. The geography of Taha'a makes it possible to have a color that is not found easily in Polynesia. It's the copper color, which sometimes has plum or even orange glints. It is due to the volcanic minerals of the mountains which are found in the lagoon when it rains. Each pearl has a really unique color. On our website, we suggest you choose the pearl that suits you best from a large selection of pearls. You will be able to find your pearl: the one that best suits your tastes, your temperament, your skin tone or the color of your eyes. The wide variety of choices makes it possible to have a pearl suitable for all occasions. Click HERE to see our collection.